Recently, I complained of my monthly misery, seeking help — and thank you, seriously, for getting all up in my uterus. Thanks to all of your suggestions, we now present the ultimate guide to curing your cramps! IBUPROFEN. A TON OF IT. Thanks again to everyone who let the knowledge flow! 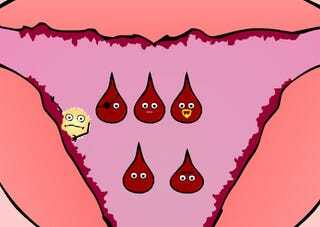 Image from Koit's "Blob" animation, which makes having a period look fun. List made possible with the help of intern Noorain Khan.